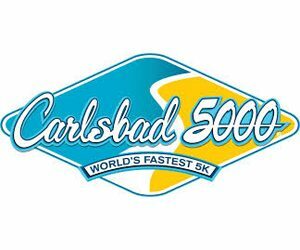 The 29th Annual Carlsbad 5000, which organizers tout as the world’s fastest 5K foot race, will be held Sunday morning in Carlsbad Village. Among the entrants in the elite races are three-time defending champion Dejen Gebremeskel of Ethiopia, U.S. Olympian Bernard Lagat and Olympic bronze medalist Tariku Bekele of Ethiopia. Three-time Olympian Jen Rhines leads the women’s field. The race has seen 16 world records set, including the 13-flat run by Kenya’s Sammy Kipketer in 2000 and 2001. Marc Davis set the U.S. men’s mark of 13:24 at the event in 1996, while Deena Kastor set the women’s American 5K road record of 14:54 here in 2002. A health and fitness fair will also be set up in conjunction with the event.